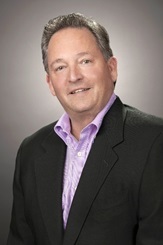 Robert Bova has served as the President and CEO of AccuSpeechMobile for 12 years, successfully introducing the innovative AccuSpeechMobile voice solution to the marketplace from the company's early years, to today, the fastest growing mobile workforce voice productivity company. Bova works closely with the leadership of a growing number of fortune class customers, understanding customer objectives, and with the internal team and solution, help customers further optimize business processes and mobile operations. He has a successful track record surpassing corporate goals with special competence in entrepreneurial, start-up, rapid growth, M & A and public companies. At U.S. Bank/Oliver Allen Corporation, he created the Secure Networking Division and grew it to over $12 million, and at the ISG division (SSL Technology) at Rainbow Technologies, he grew the business operations from zero to $56 million. Bova holds an MBA in Marketing from National University and a BA from Syracuse University.